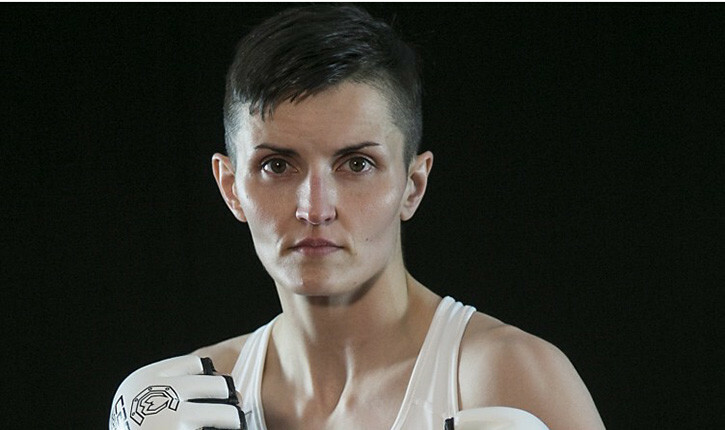 The latest installment of Invicta Fighting Championships see Ireland’s own Catherine Costigan finally making her US debut. Undefeated in her professional mma career. Costigan was tearing through the Cage Warriors Atomweight division before everything abruptly ended. Now finally with her first bout on US soil coming at Invicta 13 on July 9th. The Alpha Female is on a mission to make her mark and announce her arrival amongst the divisions contenders. How excited are you about this fight? You couldn’t have a better week to make your US debut, during International fight week and with UFC 189 just around the corner. That’s why we put everything in, we couldn’t let it go. We know how big this is to make my debut, this is world stage you know. I’m not 100% if Dana white is going to be there, but I think he wants to see if (Cris) Cyborg makes her weight and I think he wants to really to be there that night. There’s only seven fights because that week is so busy with the international fight week with the UFC. The Nevada Commission is a little bit stretched I suppose with referees and all that. And that date had to move as well I think, so the Nevada State Commission could get everything done. It’s going to be amazing, to be on Fight Pass going to be incredible. It’s a lot of pressure and a lot of people don’t know who I am yet in the states, a few would. A lot of fight fans need to find out who Catherine Costigan is and I have to put the proof in. And I’m no amateur coming over that’s for sure and I’m going to prove that to them. Between cyborg fighting and Marina Shafir on the card, do you think Ronda Rousey might show up to cheer you on? Yeah, either that or fighting with cyborg in the back and I’ll be stuck in between them or something. That would be very impressive, to meet Ronda would be nice. I’d like to shake her hand and thank her for getting the women’s division so strong and giving us all opportunities. And cyborg seems to like my pictures on Instagram. So I’m sure I’m going to have a little chat with her and get to see her and all that. It’s going to be… I don’t look at it any different as going out in Cage Warriors or any cage. Because if I don’t think of it in that way, I’m going to psych myself out and I’d never go. When I was in Vegas I saw a big big banner and lights for Aldo McGregor. I was like, yeah right OK. I got some jitters and I was like oh my god this is it, OK now. And I think there was another banner for Invicta somewhere as well, I was like, this is the scale so. It is just a tad bit bigger but take it as it is, don’t let it get too big.. it will all come off. So your opponent Amber Brown, what can you tell me about her, what are your thoughts? She’s a southpaw. With my years of karate I’ve fought girls with different stances, but never a southpaw inside the cage. So that’s a nice to challenge, technically and mentally for my fight IQ, we had to work the southpaw issue. I think we got that sorted, I have a few little surprises there on that. She’s aggressive in the sense of she likes to fight, there’s no doubt about it. She wants to keep at number four and I don’t think she likes the fact that I called her out. But who would? In a way I think she thinks it’s disrespectful. In another way I’m just trying to say I want the belt and there’s no point me hanging around with number six, number seven, number eight. I need to go as close as I can to the title and I’m pretty sure if I go and defeat Amber, when I do. It’ll lead to the title much quicker, you know. There has to be a quick path because we’re not messing about anymore now. I missed out on the cage warriors title and I want to go all the way. She’s got ground she’s got standup, she’s not a one trick pony. So that is why we picked her, she’s going to be a great challenge. I’m not picking a can that can’t fight, I’m sure I could have picked a lot easier girl. And Shannon and Invicta might have said, yeah we’ll let you have this match up. That’s not me, that’s not Dermot my coach, we’re never ever going to pick something that’s not going to justify the win. She’s really sharp now, she’s ready to box off height and a lot of it is… I try to work on her decision making. Because it doesn’t matter what you do, you can make the wrong decisions, you can get yourself in trouble. I think she’s got the tools, she has always had the tools, she’s really sharp. She’s hitting hard and her decision making is very good now. So she knows when to break the clinch, when to get into the clinch, to keep range, when to get close and when to make it a fight. So I’m really looking forward to seeing her. And the lovely thing is if it does go to ground, it’s no big stress either. Catherine’s well ready for that. So she’s not going in as a boxer who is scared of the takedown, she’s going in ready for anything.